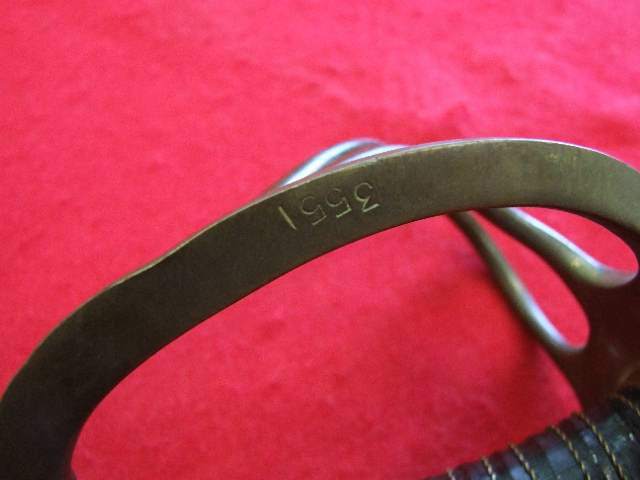 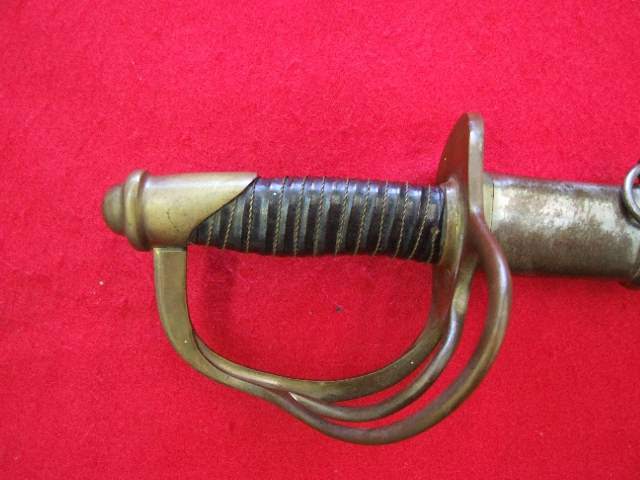 The top example is a modern reproduction/fake of an Ames M1860 Cavalry saber. 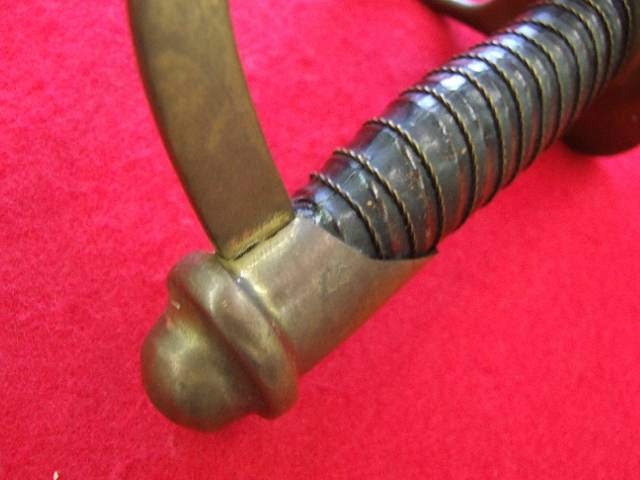 The hilt and pommel cap do not conform to the exact specfication of the Civil War period saber, which is shown in the second set of photos. 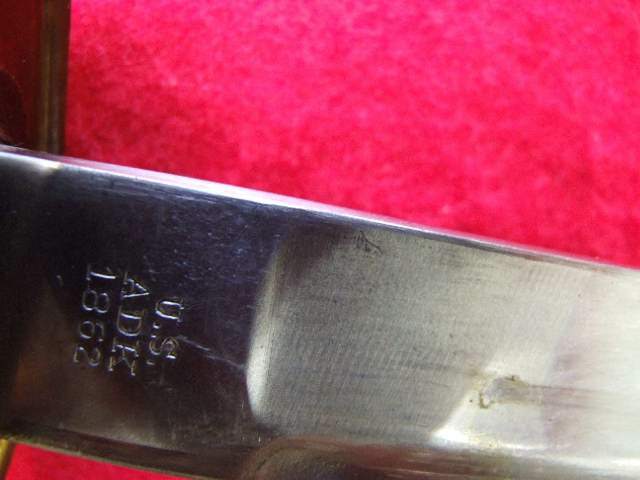 Look at the grip and you can see the difference in grip material (leather) and the wire. 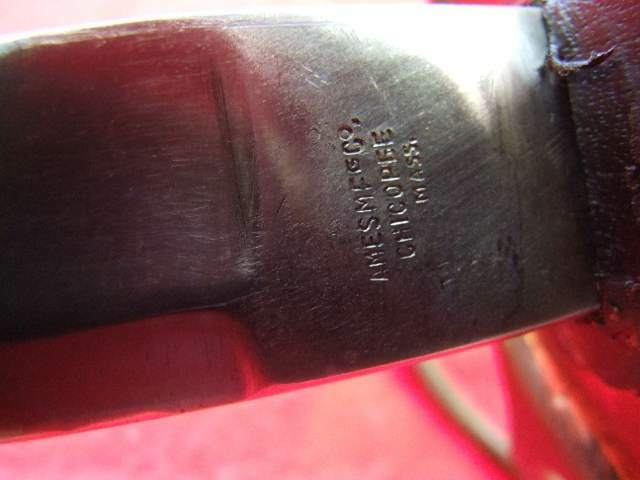 Also, note the poor quality of the Ames markings on the Fake saber complared to the original. 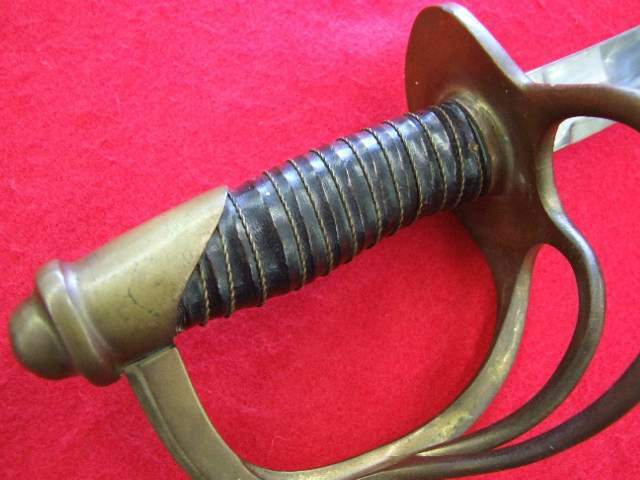 Also, look at how high the pommel cap is compaired the an original.